Not content with just having built the ultra efficient XL1, Volkswagen has now come up with the XL Sport. 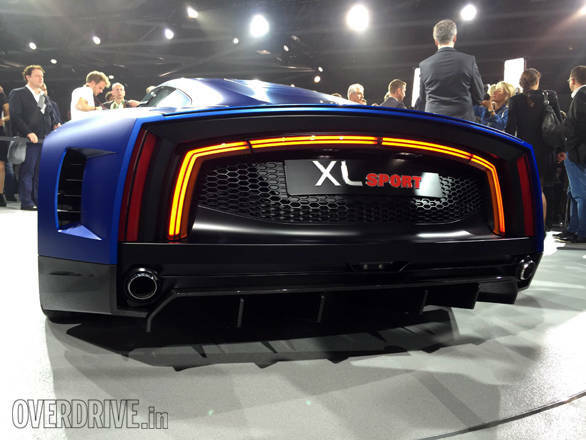 Showcased at the 2014 Paris Auto Show, the XL Sport is the company's new fuel sipping sportscar. This is the first time after acquiring Ducati that VW has used one of its engines in a car. Yes, you read it right - the Volkswagen XL Sport is powered by a 197PS Ducati 1199 twin-cylinder Superleggera engine which redlines all the way to 11,000rpm. 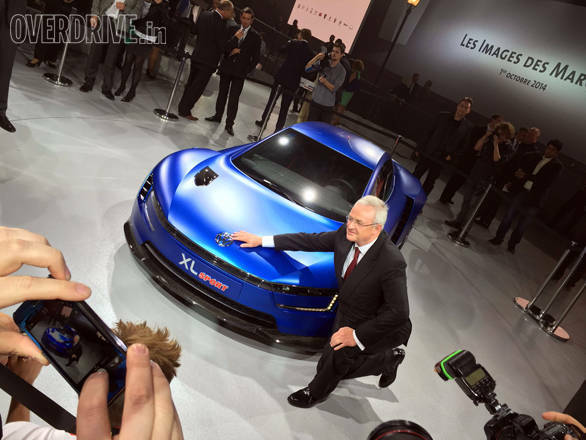 Volkswagen claims that the XL Sport will hit 100kmph in 5.8 seconds with a top whack of 270kmph. Helping the car get to these speeds is a seven-speed DSG box and some serious amount of streamlining in the body design. The XL Sport's silhouette looks very similar to the XL1's but it gets wider tyres, more cooling vents and greater downforce. The drag coefficient is just 0.258. Volkswagen though has refrained from quoting any fuel efficiency numbers. In fact, they've been tight-lipped about whether the sportscar will go into production or not.